I love to run. I hate treadmills. I live in Iowa. That combination means that I often run in conditions that cause my wife to use words like “crazy” or “nuts.” The simple fact is I would rather deal with extreme cold than extreme heat. With heat, there comes a point where the laws of this country, coupled with decency leave a runner with no further recourse for comfort. But in winter there is no such limit. Over the years, I have developed an understanding of what gear I need to be comfortable in most conditions. Is there such a thing as too cold? Not really, although I will typically skip running when the windchill is below -20F. Not so much because I can’t be comfortable at that temperature, but more because that seems to be the point where the joking around stops and family members start seriously questioning my sanity. So here, perhaps in unnecessary detail, are the clothing items I would wear on a day that’s right on the edge, temperature-wise. I’ll also admit up-front that I’m a big fan of Nike (as you’ll probably notice). For the sake of transparency, I will say that I have several friends that work for Nike, and I’ve had the privilege to visit their campus in Oregon. I won’t pretend to be impartial in this area, but I’m not on the payroll, and don’t get free running stuff, either. Nike Pro Combat Hypercool 2.0 Compression Shorts – These are my go-to base layer shorts, regardless of temperature. They are comfortable, supportive, and breathable. Nike Pro Combat Core Long-Sleeve – I like having a long-sleeve shirt that fits tightly. Maybe this goes back to my hockey-playing days eons ago, but I prefer this as a base layer over a more conventional long-underwear type item. 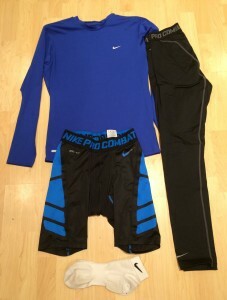 Nike Pro Combat Tights – Same thing as above, but for below the waistline. Nike Lightweight Polypropylene? Socks – I bought these long ago. They serve only one purpose, being a very low-bulk liner sock. But they do it well. I couldn’t find anything equivalent that’s available today, so I have no idea what I’ll do when these expire. 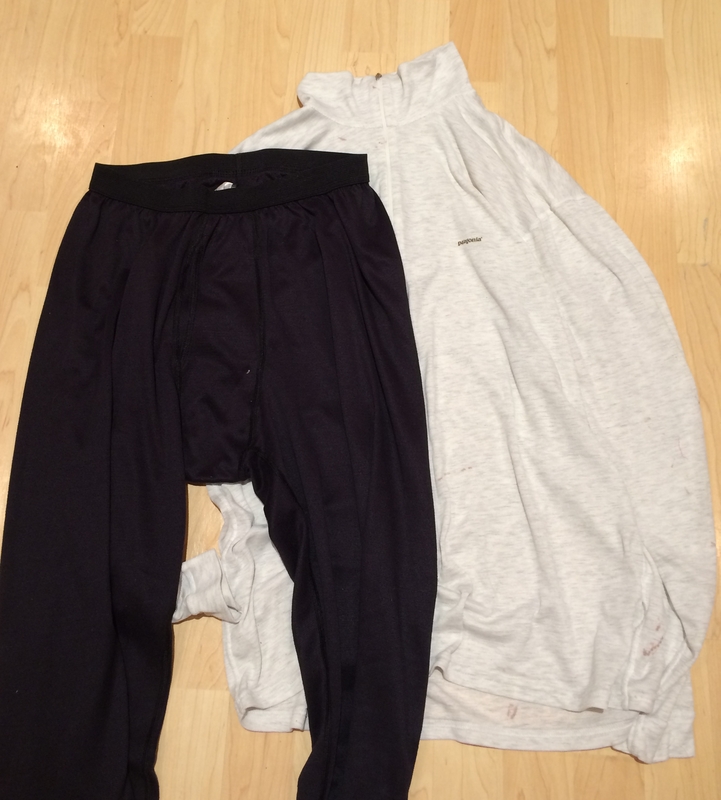 Patagonia Capilene Long Underwear Tops and Bottoms – I really like Patagonia’s layering choices. As a company, they are hard to dislike. I suppose there is somewhat of a premium for their stuff, but I’m willing. At this level, we’re not worrying about surfaces, just adding some insulation and moisture wicking with minimal bulk. 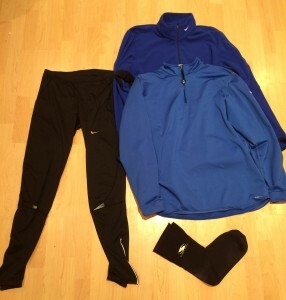 Nike Half-Zip Running Shirt – This is another item that has been in use in cold weather for many years. I have found several other similar items over the years that get rotated in for this job. 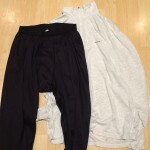 Nike Running Tights – The surface of these tights seem to be somewhat water-resistant and wind-resistant. Having a good pair of tights really revolutionized my experience running outside in inclement weather. Say what you will about the look, but if you’re a serious runner, you just can’t go wrong with a good pair of tights. Nike Half-Zip Fleece Jacket – A fairly lightweight fleece (100 weight?) jacket that’s quite warm for minimal bulk. Stormsocks Neoprene Socks – These are probably the place where I depart the most from conventional wisdom. I prefer neoprene over wool because of their moisture-resistant properties. They allow me to run in deep snow without absorbing much moisture. I think full-on gaiters would be the only alternative. 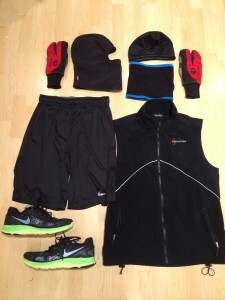 Nike Lunarglide Shield Winter Running Shoes – I have settled on Nike Lunarglide shoes for daily running. I really like the combination of light weight and responsive ride. In warmer months, I prefer the one-piece upper of the Lunar Fly 1+, but in the winter time, the warmth and waterproof features of the Lunarglide Shield are worth giving up some weight. Pearl Izumi Lobster Gloves – Another classic item that I just can’t find something that I like better. My hands are always the very first things that get cold if I’m under dressed. Since I frequently run with my dogs, maintaining some manual dexterity is also a requirement. Moonstone Windstopper Fleece Vest – I really like this vest because it has warmer wind-stopping fleece on the front, but is a bit lighter and more breathable in the back. It also fits just right, so there is no looseness without feeling constricting, either. Nike Fly Shorts – I’m still too self-conscious to run in tights by themselves, no matter how many layers thick they are, or the fact that the only people that will see me will be looking out their frosted-over car windows from at least 100 feet away. But no matter, these shorts provide the required modesty without much weight. And being black, they blend in with the tights. No-name Fleece Balaclava or No-name Fleece Neck Gaiter – These two are lightweight fleece commodity-type items. I keep trying different things in this area, and have never found anything that works better than the neck gaiter and balaclava. The neck gaiter is better on less extreme days, allowing you to switch between full ninja and pulling it down below my chin. The balaclava is nice because even with my mouth exposed, it still covers my jaw and cheeks. Nike Therma-Fit Hat – Another possibly irreplaceable item. It has a soft, fleecy inside with a smooth, wind-resistant outer shell. It also has minimal bulk so it can go in a pocket easily if I end up overdressed for the conditions. Smith Ski Goggles – It would be nice to wear these on extreme days, but I just haven’t found a mode that works well without causing the goggles to fog up. When it’s cold enough to wear them, I really need my face covered as well, which seems to just push warm, moist air up into the goggles. I have worn them a few times, but it always seemed like I fought fogging more than I care to. Ironman Sunglasses – These were a swag item from a Hy-Vee Triathlon a few years back, but they fit great, and I’ve managed not to lose them yet. They seem to do better with fogging than goggles, but it can still be a challenge on the coldest days. Apple iPhone 5S – It goes everywhere with me. I use the Nike (big surprise, I know) App for tracking runs. I’ve found in extreme cold weather it’s important to keep it warm. It does much better in an inside pocket than out on a sleeve. So there it is. Like anything else, this works for me, but your mileage may vary. Yes it’s a lot of gear, and yes, it would probably be easier to just go run on a treadmill. But if easier were the point, this would probably be an article about my couch. 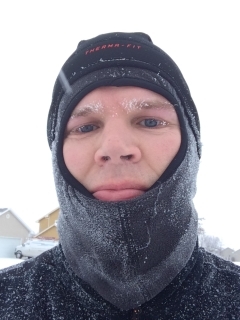 Let me know in the comments if you’ve found any items that made winter running better for you. YouTube is one of my favorite sites. I look at videos almost daily. It’s the place I go to when I need to learn how to fix something. YouTube is filled with great content in all sorts of subject areas. But I’m frustrated with Subscriptions. If I was in charge of YouTube, I would make sure that the experience in this area was absolutely perfect, because it has the potential to drive the sort of traffic that advertisers get excited about. As it is, it feels like an afterthought at best. 1. Identifying Unwatched Videos – YouTube conveniently gives you a count of unwatched videos. This is great until you try to figure out which video is unwatched. The browser has a “What to Watch Next” pane. Presumably unwatched videos are the first ones listed, but I can’t tell for sure. On a mobile device, there is absolutely no way to tell. A simple icon on the thumbnail for each video would do the trick here. 2. Marking Videos as Watched – Every other system I use for video delivery has a simple method for marking videos as watched. I would cite Plex and iTunes as primary examples. For touch devices, a simple swipe to the left should be all it takes. On the browser, a pop-up button, just like Watch Later would be my preference. 3. Suggesting Unplayable Videos – I understand the difficulties in making good suggestions for videos based on viewing history. I have had an unplayable video as part of “What to Watch” for a month. If it’s unplayable, don’t suggest it! 4. Duplicate Suggestions. Videos are frequently repeated in “What to Watch,” sometimes right next to each other. I would expect to see each video only once in that stream. 5. Previously Viewed – I don’t think a video that I have already viewed should show up in “What to Watch.” But they do. Perhaps as much as a quarter of the videos shown in this section are ones I have watched already (sometimes even as a result of them being in the list). 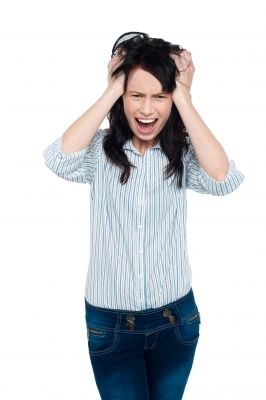 What makes these failures all the more frustrating is the apparent simplicity of the solutions. I won’t pretend to understand web video better than the folks at YouTube, but it feels kind of like getting a new car with a missing back wheel. Sure you can get around, but wouldn’t it be a lot easier to drive on four wheels? If I’m missing a better solution for these problems, or if there are other feature omissions, leave me a note in the comments.